All the major dSLR photo-editing and photo-management players offer raw development. On the photo editing side, you miss out on a lot of the sophisticated management tools, but even Photoshop Elements and Corel PaintShop Pro have basic organizers built in. 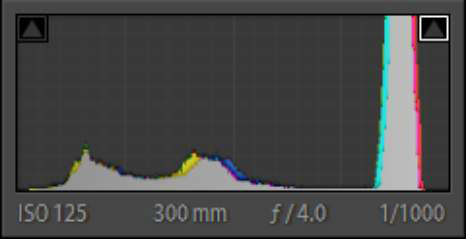 Conversely, neither Lightroom nor Aperture (two leading raw processors) rely on external photo editors for some tasks. 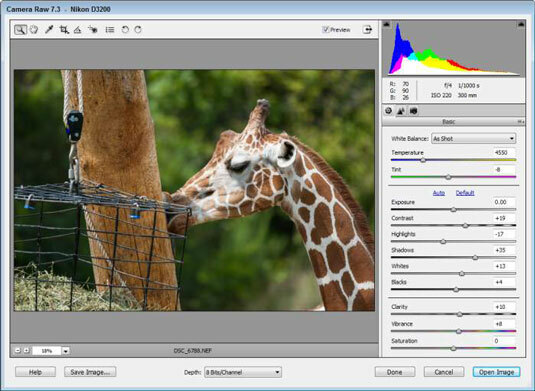 Adobe integrates raw development into its two editing applications via Adobe Camera Raw (ACR). Lightroom uses the same basic functionality as ACR but with slightly different tools and capabilities. Adobe Lightroom is a joy to work in. It offers great photo management and raw processing tools. The latter are put in the Develop module, which appears on the right side of the screen. When you switch to the Develop module, you can make whatever adjustments you need to the photo. The original is preserved. 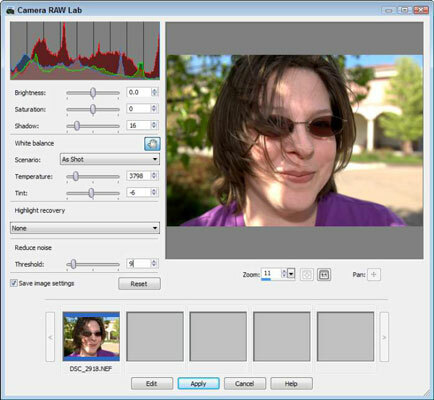 Histogram: The Histogram panel displays a live histogram (it’s even draggable) as well as the camera’s exposure settings. 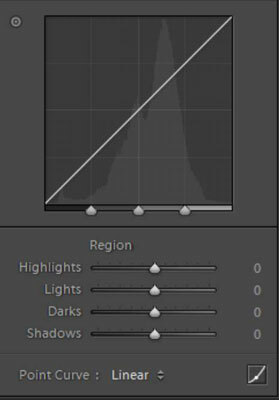 Click the triangles at the top of the histogram to turn on and off shadow and highlight clipping. 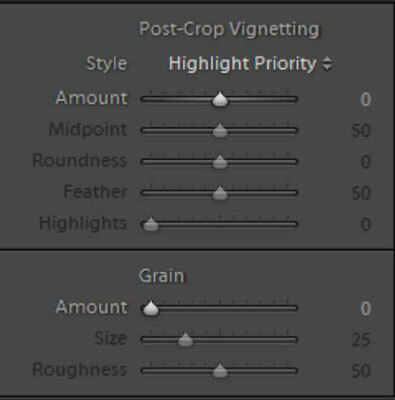 Crop Overlay lets you drag a box to identify a crop window on the photo. Also it has a straighten tool. Spot Removal removes dust spots and other small blemishes. You can change between Heal and Clone modes, increase the radius, and lower the opacity of the tool. Red Eye Correction removes red-eye. Graduated Filter applies one or more graduated filters to the photo. You have quite a few filters to choose from, ranging from saturation to exposure. Adjustment Brush “brushes” on adjustments. Choose from the same list of effects as Graduated Filter. You can change the brush. Basic: Contains white balance, exposure, contrast, and presence controls ― your basic development settings. 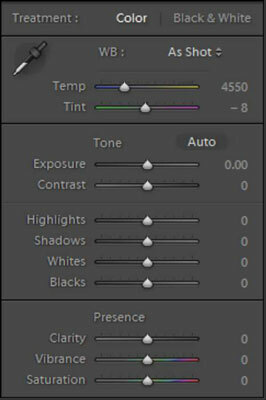 Tone Curve: A tool that enables you to change exposure based on specific tonal regions. 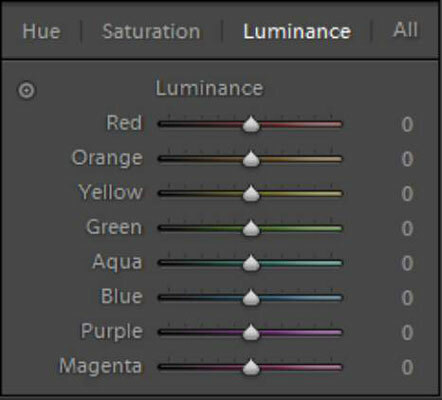 HSL/Color/B&W: Boosts, reduces, or changes hue, saturation, and lightness values according to specific color hues. You can also convert to grayscale on the panel. 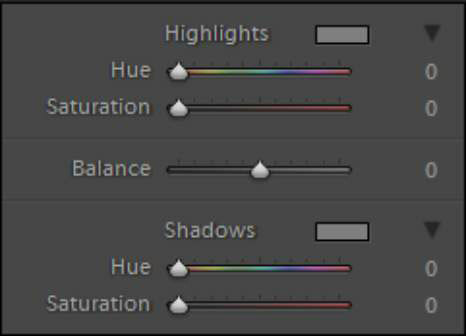 Split Toning: Changes the hue or increases the saturation of highlights or shadows. You can also move the mix point by changing the Balance setting. 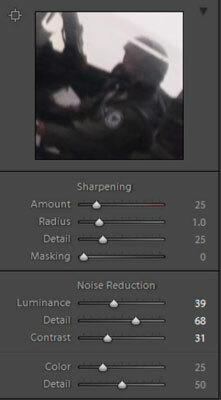 Detail: Has sharpening and noise-reduction controls. Lens Corrections: Correct chromatic aberration, lens vignetting, and vignette characteristics. Effects: Turn on and set up post-crop vignetting and grain effects. 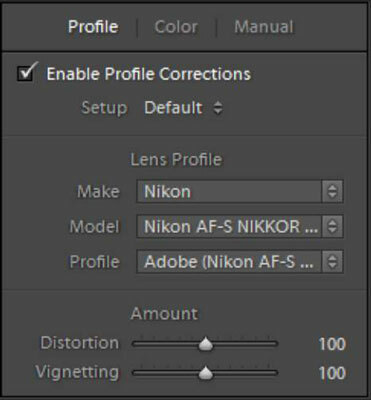 Camera Calibration: Change the process (the internal workings of Lightroom change over time as the program is updated) that you want Lightroom to use on the photo; a camera color profile picker is there as well. This panel also lets you change overall shadow tinting and adjust primary colors. When finished editing, export the photo. You should see consistently good results from Lightroom, no matter which camera you have or your other workflow needs. 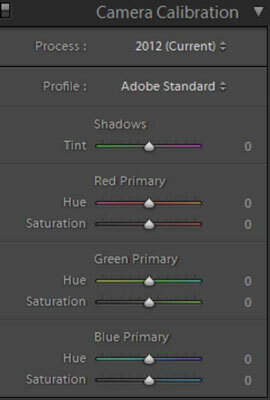 The Adobe Camera Raw (ACR) plug-in (ACR doesn’t work alone) works within Adobe Photoshop and Photoshop Elements. The popular ACR has a clean, professional look. Photoshop: Photoshop has the whole ACR package. The effect is to brighten, increase contrast, and boost saturation. For most of your work, choose from ten tabs that are essentially the same as the panels in Lightroom. 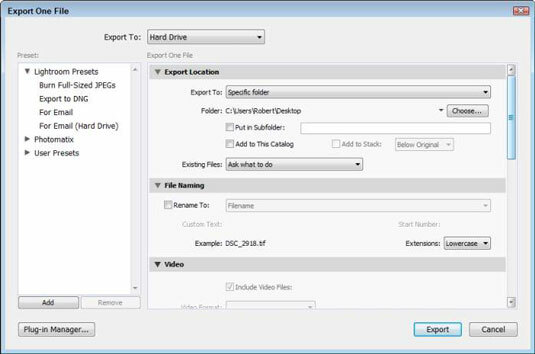 ACR also has tools such as Crop, Targeted Adjustment, and Rotate. Photoshop Elements: Adobe Camera Raw from within Photoshop Elements has only three tabs: Basic, Detail, and Camera Calibration. The tabs work exactly like those in Photoshop. ACR in Elements also has fewer tools, such as Zoom, Hand, White Balance, Crop, Straighten, Red Eye, Preferences, and Rotate. Aperture is a Mac-only image-management and editing application that works, overall, like Adobe Lightroom. Apple Aperture is fun to use; it has great compatibility with the Mac OS, nice raw editing capability, and good access to EXIF data (non-picture information stored in the photo file); and you can export images to HDR applications. It can do everything except mix drinks while you wait. Corel PaintShop Pro X5 is a full-featured raster (pixel-based images) and vector graphics (defined by points and lines) editor. PaintShop Pro comes with a bevy of photo editing tools and features, including a raw editor and high dynamic range (HDR) capability. 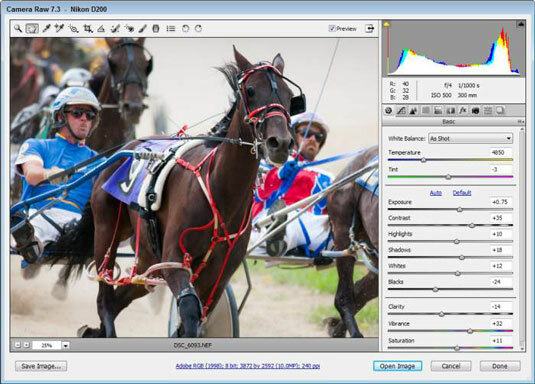 The PaintShop Pro Camera RAW Lab covers the basics: exposure, brightness, saturation, shadow, sharpness, white balance, and noise reduction controls. The program’s Adjust tab also works with raw files.